The Denali™ by Sundance Spas. It's a classic shape. 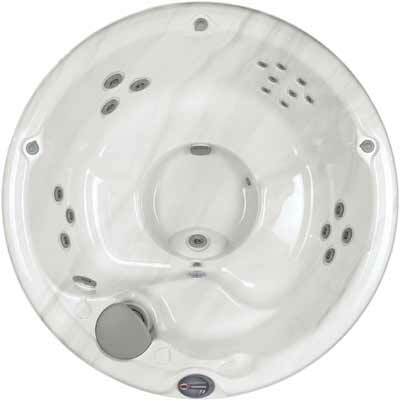 A portable round hot tub like the Denali may be the perfect solution in your landscape or the ideal size for your patio. Either way, the Denali delivers the soothing effects of Sundance® hydrotherapy in a fun package. 20 jets have been thoughtfully placed to take advantage of the round spa shape, providing you with a world of massage possibilities. Barrier-free seating makes it easy to move from seat to seat. With enough room for four adults, it's easy to share the fun, and the powerful foot dome in this round spa makes tired feet a thing of the past. Dimensions - 6'7" dia. x 36"